by Hornaday, Jeffrey [Regie] | Gallant, Michael [Prod.] | Phipps, Grace [Darst.] | Mitchell, Maia [Darst.] | Lynch, Ross [Darst.]. Visual material | 2016 | Kinderfilm | 10 - 12 JahreSeries: Teen Beach Movie 2.Availability: No items available Checked out (1). 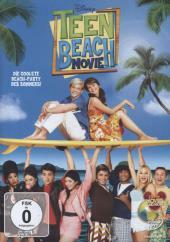 Visual material | 2013 | Kinderfilm | 10 - 12 JahreSeries: Teen Beach Movie 1.Availability: No items available Checked out (1).